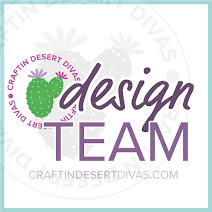 Hello everyone and welcome to my little corner of the crafting world! I hope your day is going well. Today is a much better day for me than the one I had yesterday! I had my first appointment (of many) to prepare my mouth for a dental implant. So, yesterday was not much fun. The implant is to replace a tooth that has had a root canal and crown for several years. I opted for numbing rather than being put to sleep because I hate the after effects of being put to sleep. The crown was removed first (not too bad), then it was time to pull the remaining tooth (yikes). The Doc told me that often times a tooth that has had a root canal will become brittle. So, when it is pulled, it shatters. Yep, that's what happened to me! Seems like he worked little pieces of my tooth out for hours, but it was really only a matter of minutes. Next came packing bone graft material into the cavity left by the roots. And he packed, and he packed, and he packed! Then, 3 stitches to hold everything in place, to be removed in 2 weeks. This has to heal for 4 months and we go onto to the next step...fun, fun, fun! Lucky me, my card fits in beautifully with both of these challenges! Ok, I'm off to link up my card! Thank you for stopping by and I'll be seeing you soon! Oh my goodness, almost anyone's day would have to be better than yours!!! So sorry that you have to have all that done. Love your card. I need to use the From My Kitchen cartridge more often also! Oh no this sounds so painful and frankly horrible...no coffee for a few days!! I declare! Hehe! Sorry trying to make light of your mouth situation! Sending healing vibes your way!! Great Card....and even though I am sick, I think my days have been better than yours. Feel better soon. I hate going to the dentist! I feel sorry for you. Good luck with the next stages. Your card is great. Love the sentiment added with the twine. 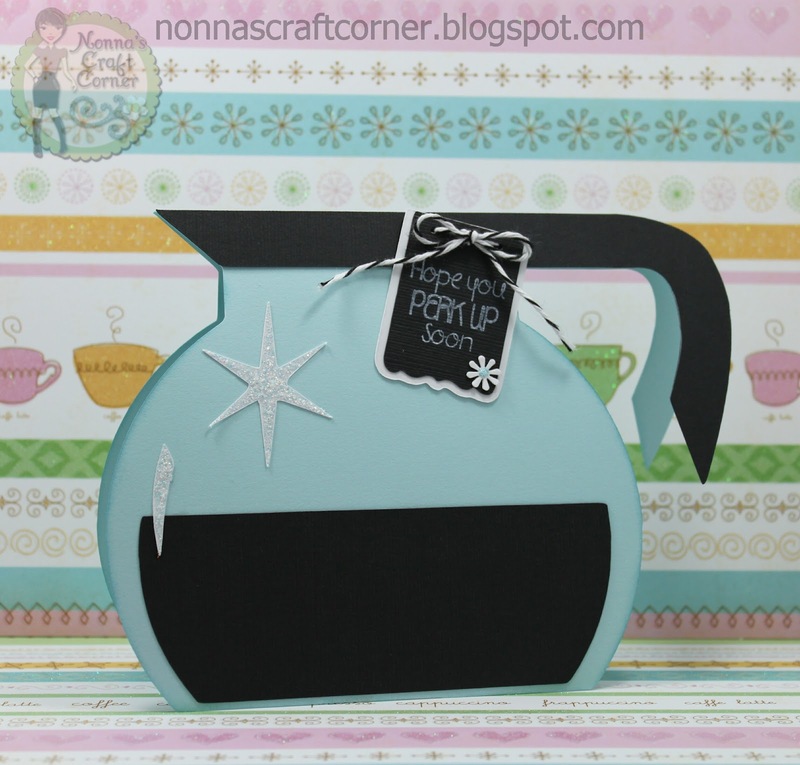 Love your pretty card and the great looking coffee pot! Love how you blinged it up! Sorry about your dental problems! Hope you are feeling better soon! Super cute card...good luck with the dentist! I hate going to the dentist too :( sounds painful..I will say a prayer for you! Your shaped card is the cutest! I will have to scrap lift this one sometime. I really love this one! Hope all goes well with the dental work! A fun card indeed... Thanks for sharing it with us at BBTB2. .... My friend just had a mouth full of dental implants and she said it was not fun not fun. I hope the rest of the procedure for you will go smoothly. Tanya, very cute card, perfect sentiment! I hope you are feeling better very soon. I probably would have opted for them to put me out. Although the last time I had a local, I was itchy for days afterwards. I hope your hubby is taking awesome care of you. Drink lots of water and feel better soon!!! Hugs! Ok..hands up before I say anything else..I am part of a dental team and I know we are so not popular!! !..but the implant will be so worth it when this horrible stage is over!! 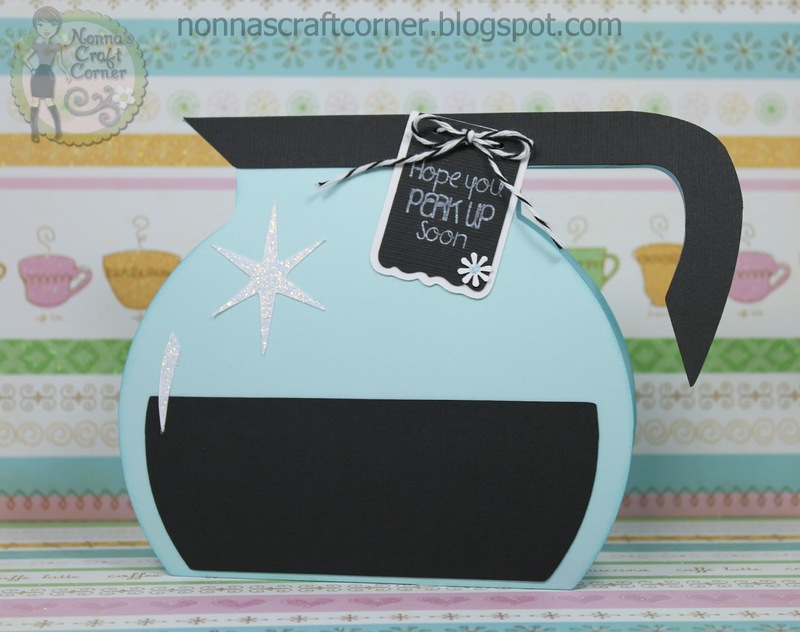 On a brighter note,love your coffee pot card.That is such a great sentiment too.Thanks for joining us at BBTB2. Such an adorable card Tonya!!! Good luck with the implant!! Oooooh, owwwww, I've always had a deathly fear of dentists and the work they do. My mom took me to an pediatric dentist until I was 18 LOL!!! Hope you're feeling better. Your card is just sooooo cute. Love the coffee pot. Hmmm, maybe I'll check out that challenge. I have a shelf full of neglected cartridge. Your creativity never ends, my friend. Love this coffee pot. Just like the ones my parents always used. So cute. Thanks for joining us for the kitchen challenge at BBTB2. OK... I have to say, my day was better. So sorry that you are having to deal with all of that. I am chicken, so they would have had to knock me out. Hee! Hee! Dental pain is the worst. I have to say that I am more sympathetic to the whole "Going without coffee" thing. It sounds like that would be the worst part of it. 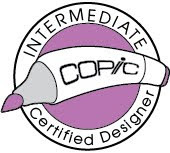 Your card is amazing! I love the colors you used! It's just perfect! Glad to hear you are feeling well and I hope you are enjoying the new diet. I haven't tried that one yet. Hee! Hee! Hugs! Oh Tanya - poor you!! Your experience does not sound the least bit pleasant - so yes, my day was much better than yours! What a fun idea for a card! I love the touch of glitter that you used. And good for you entering a couple of challenges. I hope to find time for that again one day!! add me to the list of haters, (Dentist)Yep put me out me and pain are not slightest bit of friends, I'm glad your feeling better, your coffee pot is simply adorable, Thanks for sharing. Great card. I like the sentiment you used. Thanks for sharing with us at BBTB2. I really love that coffee pot. Great job with the challenge. I don't hate dentists.....I'm married to an oral surgeon! But Good luck with you tooth! Hi Tanya, how are you doing???? Happy Memorial Day Weekend!!! What a fun and clever project! Thanks for sharing your creativity at bbtb2!